Lock in a great price for Parco Termale di Villa Dei Cedri – rated 9.2 by recent guests! Luxuriously furnished and styled room. The Jacuzzi was exceptional. Room and surroundings very quiet and peaceful. Excellent breakfast. 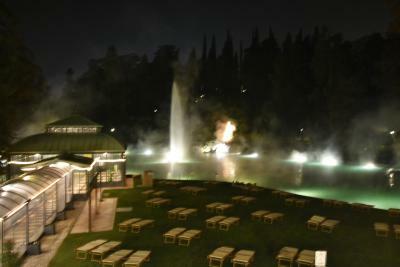 We enjoyed the thermal lake and the garden. great location, fantastic facilities - the pools and lakes are amazing. perfect water temperature surrounded with beautiful trees. we had a great time!!! 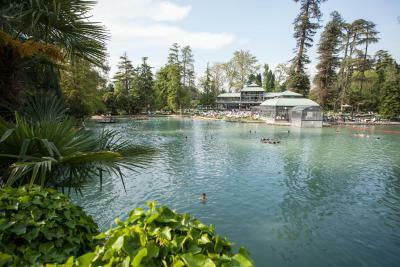 The hotel is a renovated neoclassical villa, situated in a wonderful park of centuries old cedar trees. The rooms are big, clean, with beautiful wooden floors, and have a second room dedicated a giant jacuzzi tub. exclusive and quite area around the hotel, access to the thermal water, very beautiful and clean room, very polite staff, beautiful and unique old antique furniture and figurative collections to the hall and musical room! A big big Jacuzzi in the room. (size for 6 peoples or more). 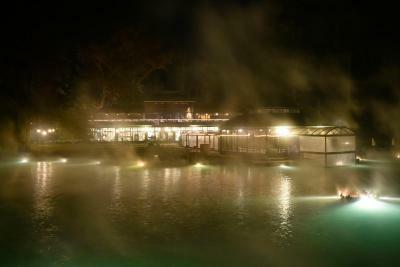 The lake is unbelievable since have natural hot spring and can enjoy all kind of water service in the hot spring leak. The parts is huge and beautiful. Great place in huge property with very old and maestois trees. Buldings from end of 18th century restored and adapted to nowadays needs. Apartments full of confort and very nice and gracious. 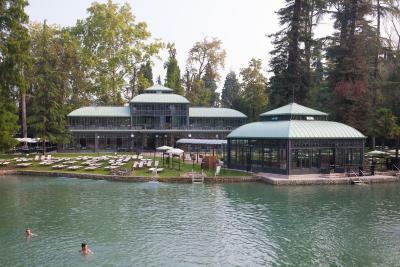 Great location very close to the thermal lake. Very friendly helpful staff. They gave us bathrobes to use when going to the thermal lake. The wifi works even in the room. A very quite place. There's a nearby pizzera 2 mins away called Il Papero Nero, soooo yummy. Great peaceful and serene location, very close to the thermal park. Clean room and bathroom. Parco Termale di Villa Dei Cedri This rating is a reflection of how the property compares to the industry standard when it comes to price, facilities and services available. It's based on a self-evaluation by the property. Use this rating to help choose your stay! 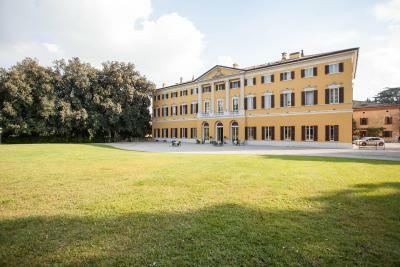 One of our top picks in Colà di Lazise.Set inside the grounds of the Garda thermal spa, Villa Dei Cedri is 2.2 mi south of Lazise. 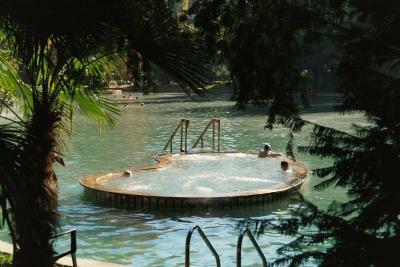 It offers a natural pool with hot springs, a private wellness center and elegant accommodations with spa bath. 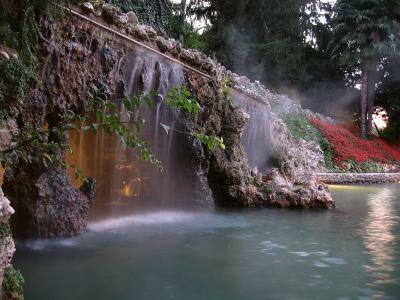 Villa Dei Cedri gives you access to the spa's thermal pools in a quiet and relaxing location. The shores of Lake Garda are just a 5-minute drive away. All air-conditioned, rooms and apartments feature a large bathroom with both a spa bath and hydrotherapy shower. The apartments are not in the main villa but in separate buildings within the park grounds. Breakfast for guests staying in rooms is buffet style, while the apartments provide a basket of breakfast ingredients in the kitchenette. 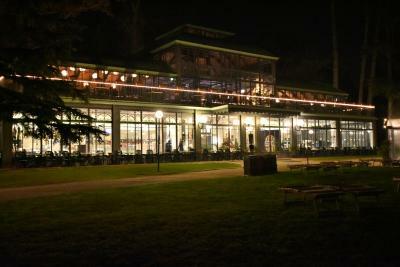 A buffet restaurant and a bar are also available on site at Dei Cedri. Guests enjoy a free Wi-Fi zone in the Villa’s main building. The property also offers free private parking. 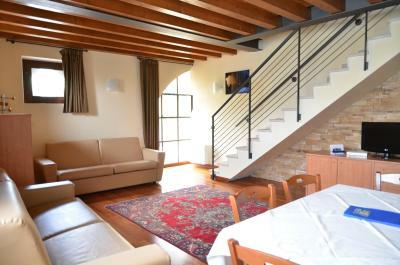 This property also has one of the top-rated locations in Colà di Lazise! Guests are happier about it compared to other properties in the area. 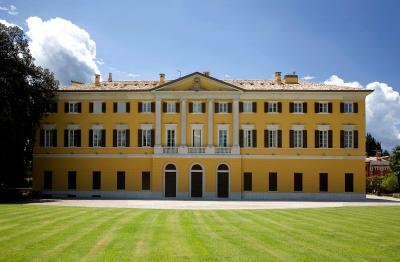 When would you like to stay at Parco Termale di Villa Dei Cedri? This air-conditioned room comes with a satellite TV and mini-bar. The private bathroom features a spa bath. Please specify bed preference when booking. No extra beds. This larger room is air conditioned and offers a satellite TV, mini-bar and private bathroom with a spa bath. Air-conditioned studio with a fridge, satellite TV and bathroom with spa bath. This apartment is not located in the main villa and does not have internet access. Air-conditioned apartment with a fridge, satellite TV and bathroom with spa bath. 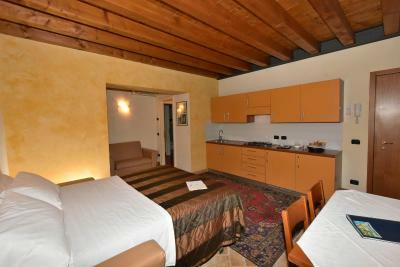 Larger studio with air conditioning, satellite TV and bathroom with spa bath. Apartment with air conditioning, satellite TV and bathroom with spa bath. All rooms and apartments have Thermal Water coming directly at 37°C from the spring. 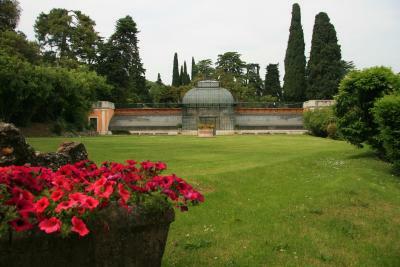 House Rules Parco Termale di Villa Dei Cedri takes special requests – add in the next step! One older child or adult is charged EUR 80 per person per night in an extra bed. Parco Termale di Villa Dei Cedri accepts these cards and reserves the right to temporarily hold an amount prior to arrival. 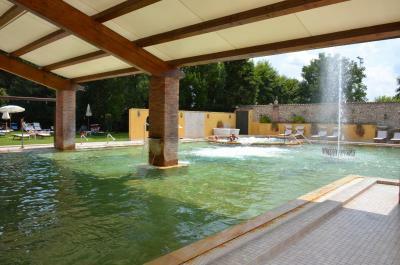 The villa and apartments are located inside the grounds of Garda thermal spas. Access to the park is usually at an additional cost but guests have free entrance from check-in until check-out. 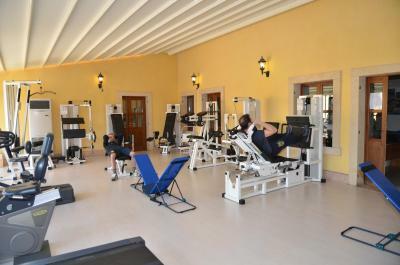 Please note that the villa's wellness center comes at an extra cost. The sun loungers around the lakes in the park are available at an extra cost. If you expect to arrive after 22:00, please inform the property in advance. You can use the Special Requests box when booking, or contact the property directly with the contact details provided in your confirmation. There were eight of us and unfortunately there was one experience (only one) at the wellness spa when one member of staff rolled her eyes...unfortunately at the bride-to-be! The member of staff could not understand perfect english and unfortunately showed impatience when calling another member of staff. This was quite upsetting. 2 apartments booked were not side by side and there were no room phones, to contact each other, but they did have good wifi so we could easily communicate that way. But overall we would highly recommend this hotel and spa, we had a fantastic stay. Amazing spa retreat, complete gem. Large facility. The main large lake was incredibly beautiful and warm, 37 degrees. There was plenty of space for 8 guests. The hot tubs were the perfect temperature. 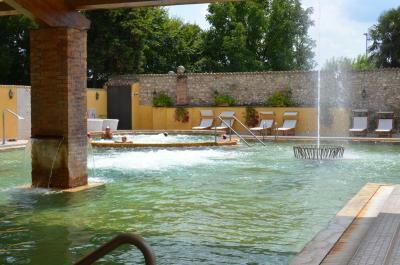 The jets all over the pool were powerful and great for self massaging, also lots of lighter ones available for others. The thermal pool at the wellness spa (only available if you have wellness spa access for the day) was superb 38+ degrees and particularly clean. Plenty of sun beds everywhere. The reception staff were welcoming and although english was limited they were still all very friendly and patient, they made the trip smooth and stress free with their organisation. The wellness spa was surprisingly spacious and had lots of options. The multiple wellness spa treatment bookings were shared with reception so upon arrival these could be checked with us, again making it a stress free stay. The treatments were bliss! Remember to specify woman or man masseuse in advance! A great variety of snacks free in the room everyday. 99% of staff were absolutely great and created a great impression of the local Italian culture. The onsite restaurant Moscado was great! Overall we would highly recommend this hotel and spa, we had a fantastic stay. The breakfast could have been a bit more elaborate. Also, while the main bed was comfortable, the second bed, which was basically a sofa, was a bit hard. Excellent location and facilities, very friendly staff. Biggest bathtub we ever had. Perfect place for vacation. Peace and quiet and excelent restorans nearby. The jets and the Jacuzzi open on 9:30 and close down on 23:15. Some noice from the street, but we had windows to the city side, so it is not a big problem. Everything was perfect, stuff excellent! Special thanks to the team who worked 27th September, we forgot bag in the room, they found it and informed us just in time! The welcome and assistance from the staff was great. The jacuzzi in the apartment was amazing. The outdoor lake was an experience we won’t forget in a hurry. The pillows in the room were uncomfortable. Even when you order the massage -Spa has to be paid separately. Wonderful stay, beautiful rooms. Very comfortable. Great views across the park. minor points for improvements: 1) while they clean the room everyday, they don't clean the dishes. it could be nice to do this as well. 2) breakfast is not included. they provide you with ingredients and mini bar. We are really struggling to think of a negative, I suppose the charge for sun beds before 4:00pm. Everything was perfect from the welcome on arrival, beautiful grounds and pools. Accommodation was amazing. We did not have a car, but found the bus and taxis a great value way to get to the nearest biggest towns on the Lake. The village also has excellent facilities, including supermarket, chemist and two great restaurants, the taster menu at Trattoria right opposite is a must. We had a treat basket in our room that was topped up every day and fruit juice, milk put in the fridge all free of charge. They even did a laundry wash for us. We had two teenage daughters with us and they loved it here just as much as ourselves. The air-conditioning unit wasn't very effective in the room which meant it was quite warm during the night. 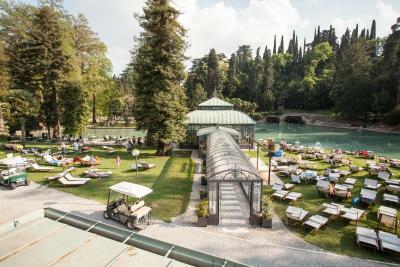 The location of the hotel doesn't work well for trips down to lake Garda during the August holiday due to the sheer volume of visitors to the area. During less busy times however I don't think this would be a problem. Our room was one of the central placed rooms that opened out onto a small balcony overlooking the mature gardens. It was peaceful despite the large number of visitors. The space in the room itself was ample and the hot-tub didn't take very long to fill at all. 20mins approx. The walk down to the thermal lakes was easy going and took maybe 5mins. The map made it look so much further. Regardless of the large number of people (we visited during August) there was plenty of space to move around in the lake and the water itself was close to clear. The restaurant attached to the hotel served excellent food at a not extortionate price. The waiting staff were friendly, polite, and found us a table even though we had no reservation.